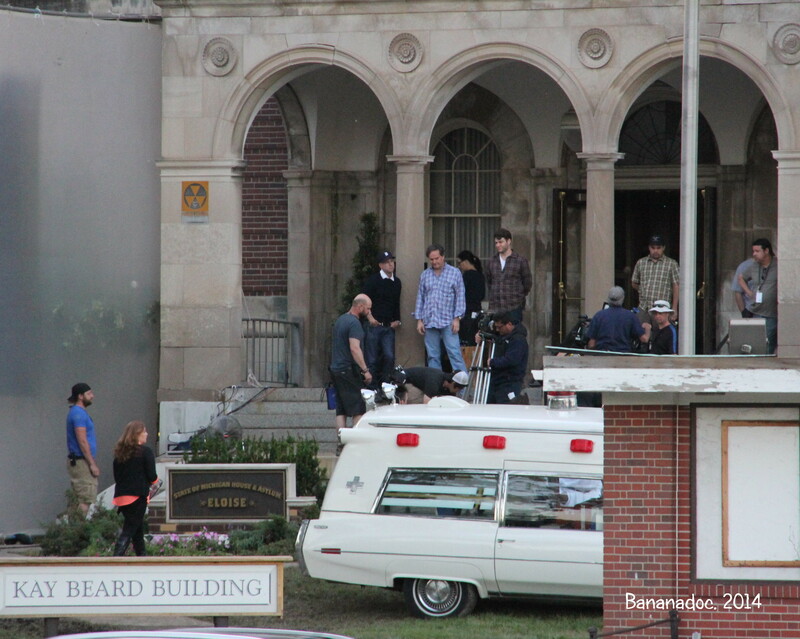 Robert Legato, the movie’s Director in the blue plaid shirt. 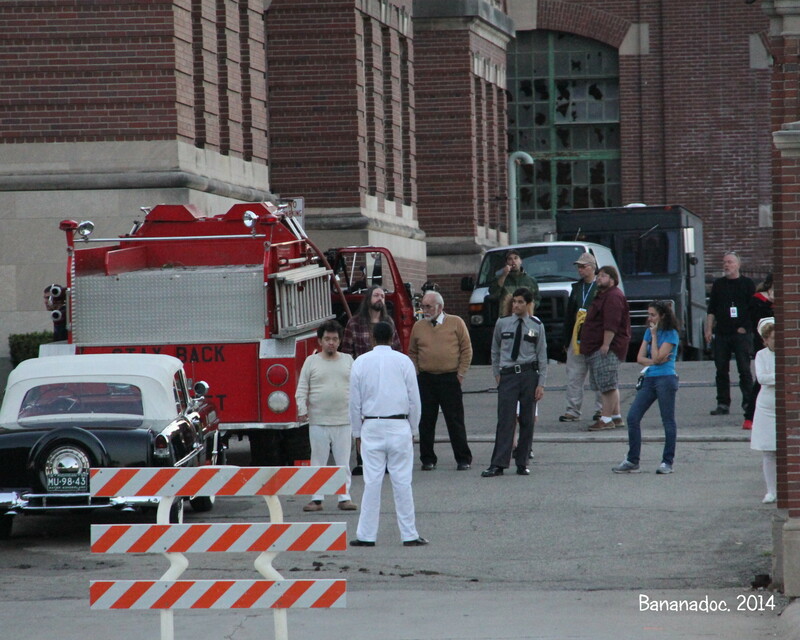 The movie scene has been quiet in Michigan since the end of the Transformers4 filming in Detroit early last fall. 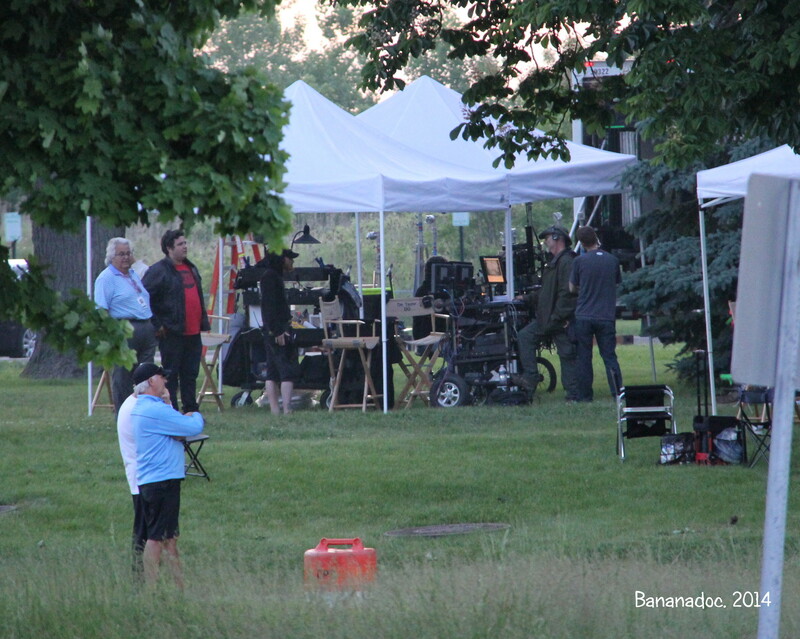 The occasional small project has come and gone without much fanfare, but this Summer brings another Big Movie (no prizes for guessing which) and a couple of smaller ones. 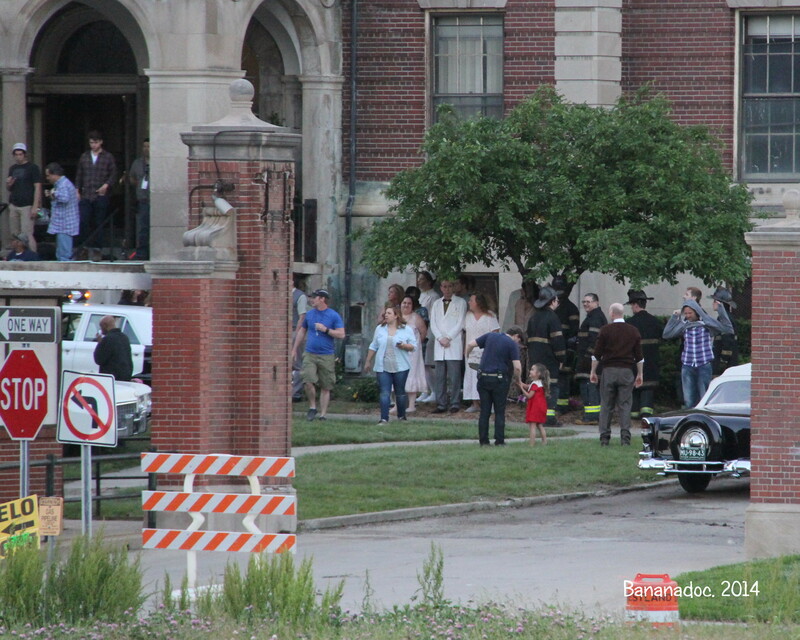 The thriller/horror movie Eloise, starring Eliza Dushku and Chace Crawford, is currently filming between the Masonic Temple in Detroit (which seems to be the home to a lot of movies these days), and the old Eloise Psychiatric Hospital in Westland. 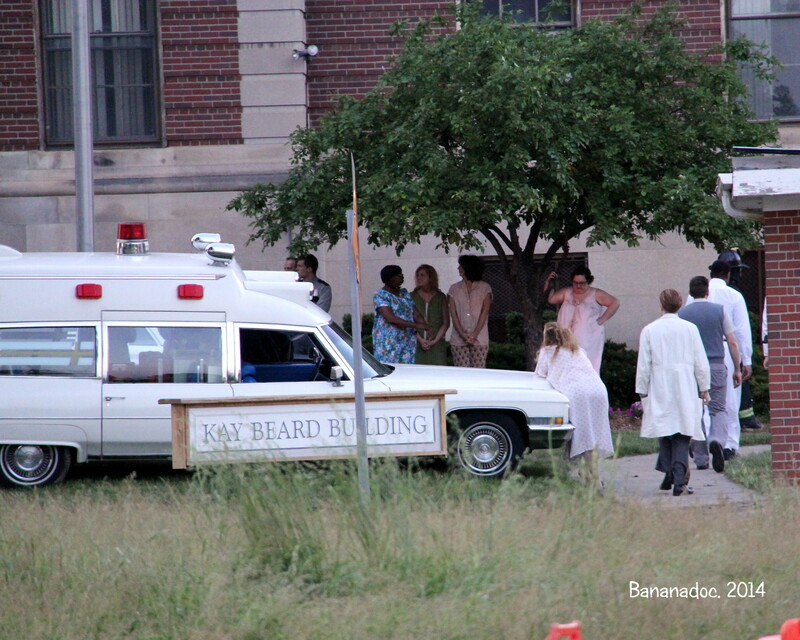 I love the description on IMDB… “Four friends break into an abandoned insane asylum” What could possibly go wrong? 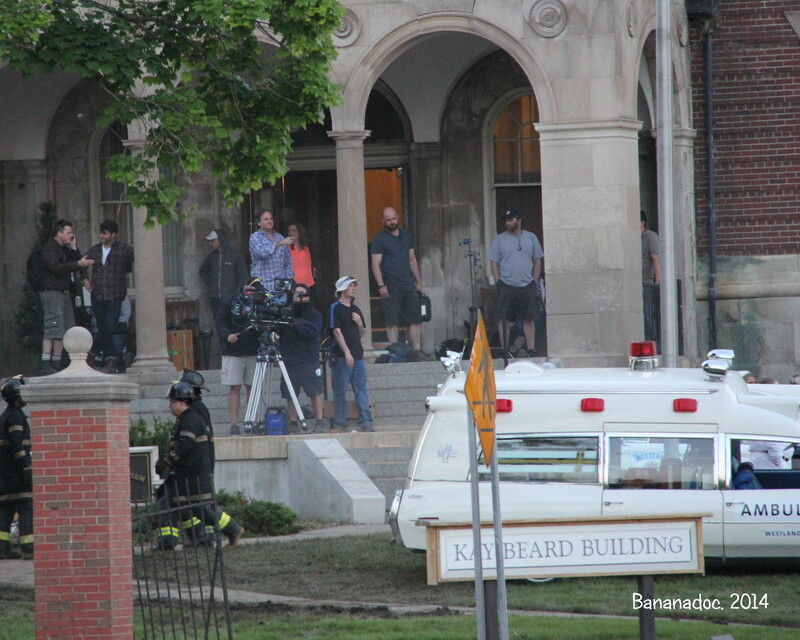 Anyway, I did manage to get out there last night to watch a scene or two being filmed before it got too dark and they moved inside. 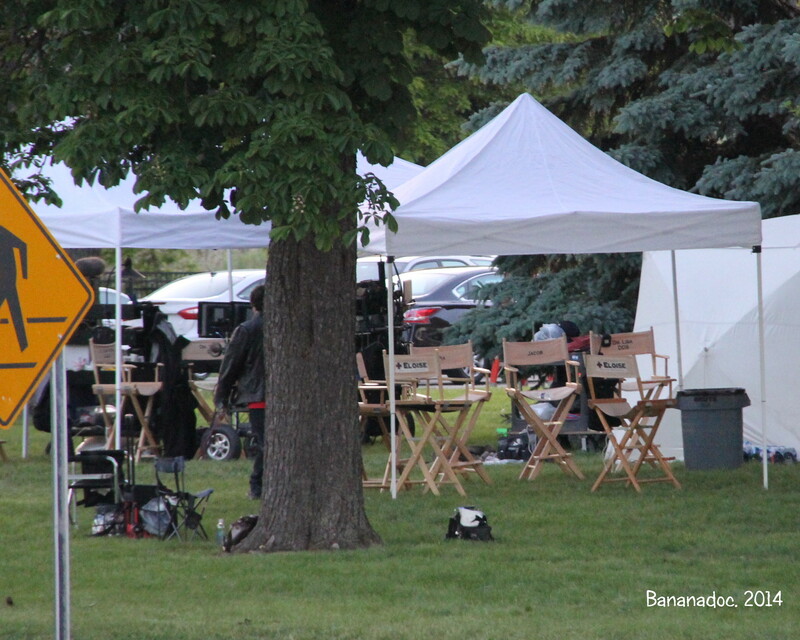 They may have one more day of filming, but I hear they are wrapping this weekend. Any budding movie stalkers would do well to take some maximum-strength Deet with them tonight. The bugs out there are merciless. 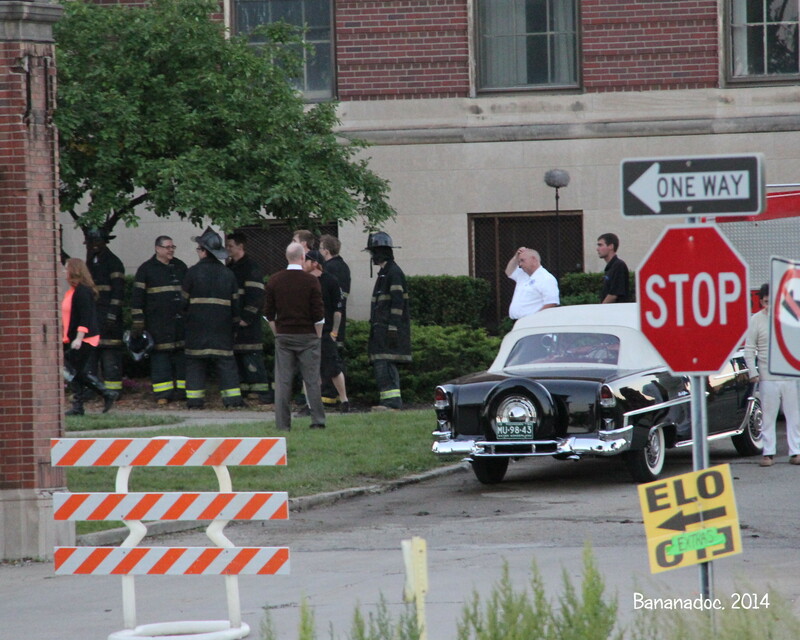 The brave among you might want to explore the tunnel that leads from Michigan Ave through to the graveyard. Yeah, right. I’ll post more pictures shortly. 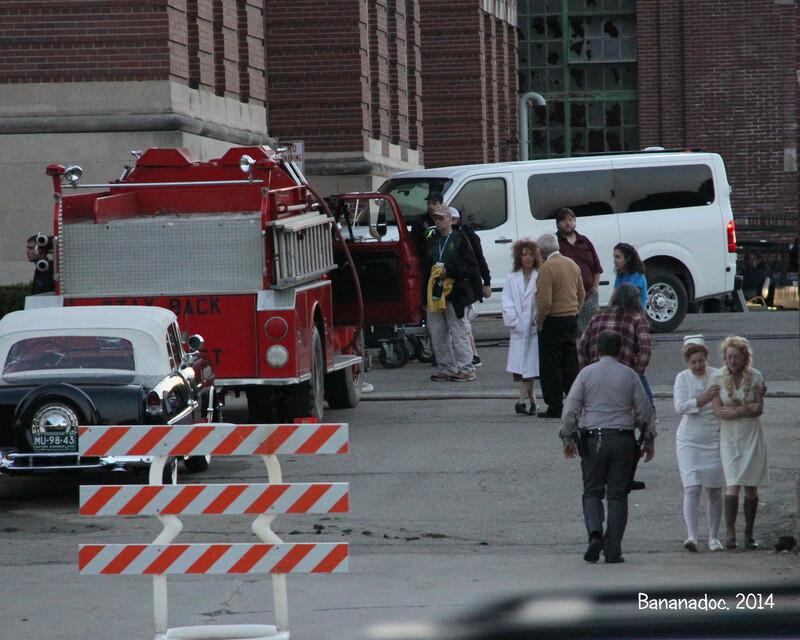 Sadly the principal actors weren’t out last night, so don’t get too excited. 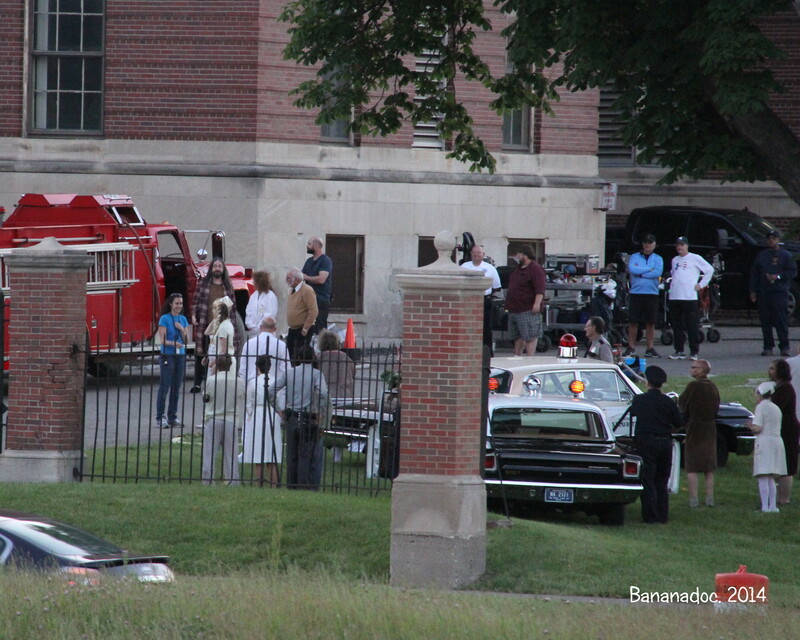 Extras in the set of Eloise at the old Eloise Hospital in Westland, Michigan last night (June 5). More to come.